Laser Resources offers the CombiLine Cube, a range of laser marking machines designed as an efficient solution for manual and automated laser marking. Suitable as a single workstation or integrated into production lines, the CombiLine Cube offers two modes of access. The laser marking machine front slides up to give wide access to the marking field for simple job setup while the semiautomatic door provides access for short cycle times during production. 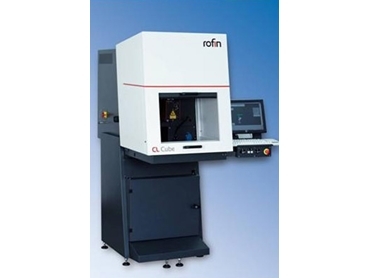 Designed for simple operation, CombiLine Cube laser marking machines begin the marking process when the door is closed. At the end of the marking process, the door is automatically opened.